This last week I found myself doing a lot of reflecting. Not only was it Nicholas' first birthday yesterday, but December 1st marked four years of Brian and I working in vocational ministry. It's funny, and humbling, to reflect on where we started. Brian and I joined Youth With A Mission on December 1, 2008. We were 21, had been married for 5 weeks, and were eager to serve together in missions. We were filled with excitement as we packed up our lives and moved to the Big Island of Hawaii. There was no thought in my mind about the huge transition that was coming our way. Moving away from our families. Adjusting to married life. Learning to live while being fully financially supported by others. Discipling students. Traveling to Central Asia and co-leading an outreach team. Working together in the roles of husband/wife/co-leader. It was a whole lotta new. A whole lotta change. And this girl does not do change well. Brian, the lover of adventure, did wonderfully. He made tons of friends, grew in his leadership abilities, and in his relationship with God. He was so loving and patient with me, but even still, I floundered. Most days it felt like my insides were being squeezed in a vice and I could barely breath. I cried a lot. I just couldn't handle all the transition. The loss of (what felt) like security caused me to retreat into myself. Me, the extrovert, spent too much time alone, wishing I would just change. Just be more like Brian. Just be BETTER. During that first year of both our marriage and our life in ministry, I spent most of my time feeling like a huge failure. I felt that I had failed God, Brian, my students, my colleagues, and my friends. If I could go back to that time, I would tell myself a few things. I would remind myself that no one but me expected perfection. I'd say that transition, even transition for a good reason, always has it's hard moments - so don't get crippled by shame when you struggle. It's NORMAL to struggle when your entire life is changing! I would point out that saying yes to Jesus never guarantees an easy life - but that "yes" is always worth it. He is always worthy. Just because our "yes" to Jesus didn't turn out like we had planned didn't mean we failed. There was a whole lot of raw, real need for Jesus. There were a million honest conversations, born out of desperation. There was a lot of wrestling with God, and working through issues in our marriage. And because God is just so good, He still worked through us. I saw Him do some amazing things in peoples lives, even though I was so broken. In my weakness, He was so faithfully strong. I continue to learn from this time in our lives, even four years later. Thanks Jesus for not giving up on me when I was so weak. Thank you Brian for loving me in my most shameful, desperate moments. You put up with a lot :) And thank You, Lord, for not giving up on me now. Though I'm a little more experienced than when we first started out, I am still in deep, desperate need of You. Thanks for the encouragement! What I needed to hear today... too often I expect perfection of myself and become crippled by change too. God is good though, all the time. great post!..I couldnt imagine all of that change at once, but being in the military taught me I have to just make do with whatever happens. "Just because our "yes" to Jesus didn't turn out like we had planned didn't mean we failed." Often we assume when things don't go the way we planned, we weren't doing God's will, but that is so not true! I really struggled with this when our foster son left our home early. I felt like maybe I hadn't been good enough, that I had failed God or that He hadn't meant for this boy to live with us in the first place. But I have come to realize that "failure" in our eyes doesn't equal failure in God's eyes. He sees the background and knows the future. Thank you for sharing this Mackenzie! This is a beautiful reminder of God's faithfulness. He is so much bigger than our insecurities and our failures that it's amazing. And thank the Lord that His mercies are new every morning! wow I didn't know all of that about you guys! What a huge challenge early on in marriage! But still, how amazing that you guys were so willing to chase God wherever, even when difficult. Hi Mackenzie! 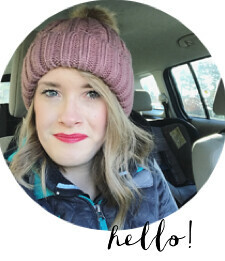 I just recently started reading your blog after coming across it from Jessi's blog (Naptime Diaries), and just had to comment on this post! I have been involved with YWAM Kona since early last year - such a small world :). We must have mutual friends! Were you on staff with a DTS? I couldn't agree more with the simple "yes" being worth it, no matter the struggle! He is always faithful to our hearts and I am glad that out of your desperation for Him such growth took place. Blessings!! I know all about shameful desperate moments and I am so glad that God uses that brokenness and can make beautiful things out of our dysfunction. Oh wow. Loved this post. Transition times are so hard for me too. Thankful that God is faithful and constant! i hear you on the "transition" thing. I hate the transition period but once i'm on to the new thing, i'm usually ok. that was a LOT of change for you and i'm so glad that you are on the other side of it now and with more Godly wisdom gleaned from that experience. 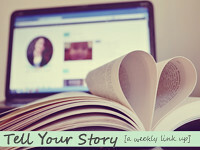 Thanks so much for linking up and sharing your story. Oh hon I loved reading your heart in this post. I moved 400 miles from my family and all that I had known when my husband and I got married. I had SUCH a hard hard time that year and partially into the next. I can't imagine having to do that under the microscope of ministry too.